Every year, MSI brings something ludicrously wonderful to CES. This year was no exception. As a huge fan of big, badass, over-the-top PC hardware, I’m also a fan of how enthusiastically MSI embraces big, badass, over-the-top PC hardware. The company’s ludicrously marvelous fanned SLI bridges were one of my favorite products at CES last year, and while there wasn’t anything quite that insane in MSI’s suite this year, a pair of new products still stood out enough to make me grin and want to high-five someone. First, the Core Frozr XL CPU cooler. MSI dipped its toes into CPU cooling just a few months back with the Core Frozr L, which you can see right here. It definitely puts off that MSI vibe—cool lit logo!—but overall, it’s nothing too audacious. But now MSI’s following it up with the bigger, more badass Core Frozr XL. I can’t tell you too much about it, sadly, as the representative showing it off didn’t know exact details. 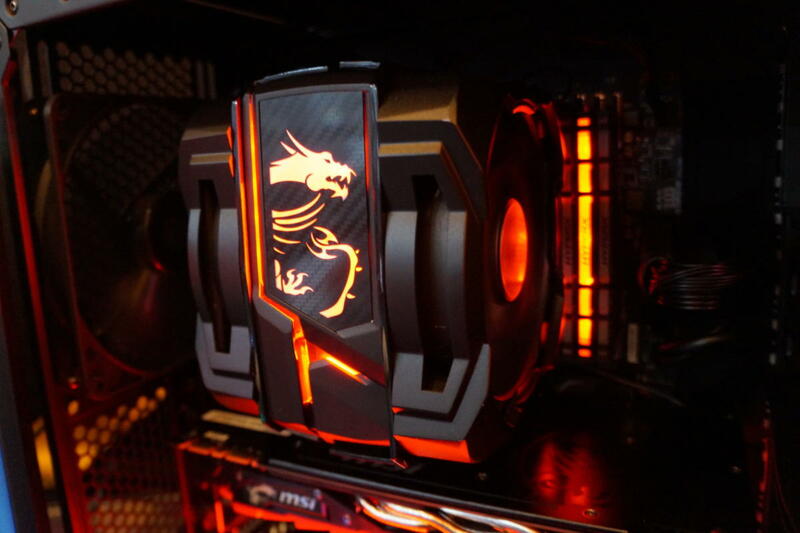 But just look at the thing—it’s a huge, in-your-face cooler with massive dual 120mm fans and a freaking pulsing red dragon on the front. I can dig it. 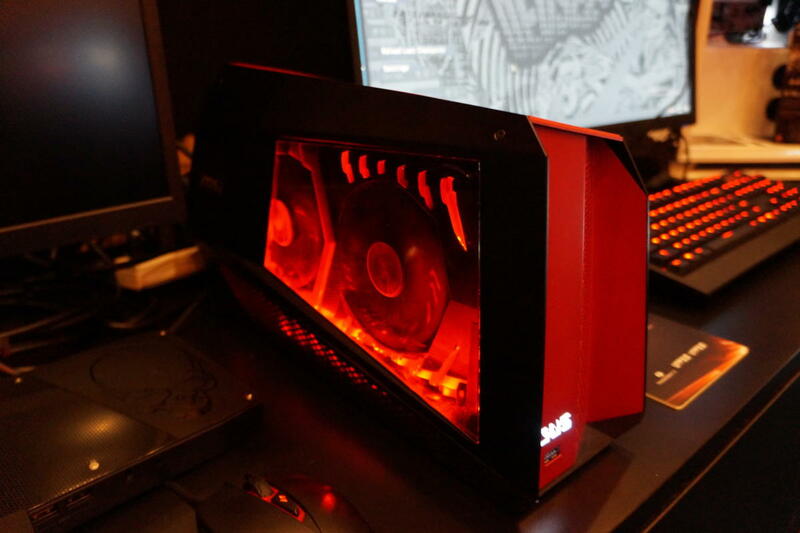 Likewise, MSI was also showing off a new graphics card enclosure. So what? you ask. Everybody’s doing graphics card enclosures these days. Indeed, dear hypothetical reader, but I still find the mere concept of amplifying a Thunderbolt 3-equipped laptop or tiny PC’s gaming chops with a desktop graphics card to be something worth silently fist-pumping about. 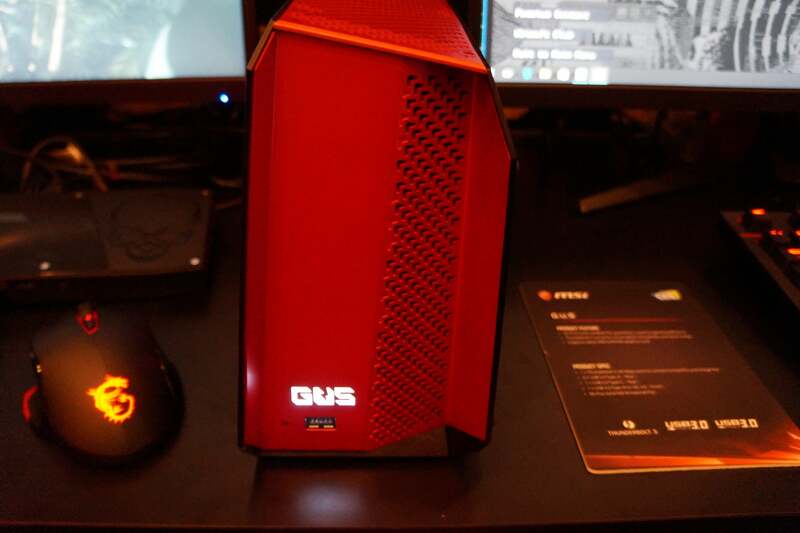 Plus MSI’s model has a little something extra going for it. It’s named GUS. 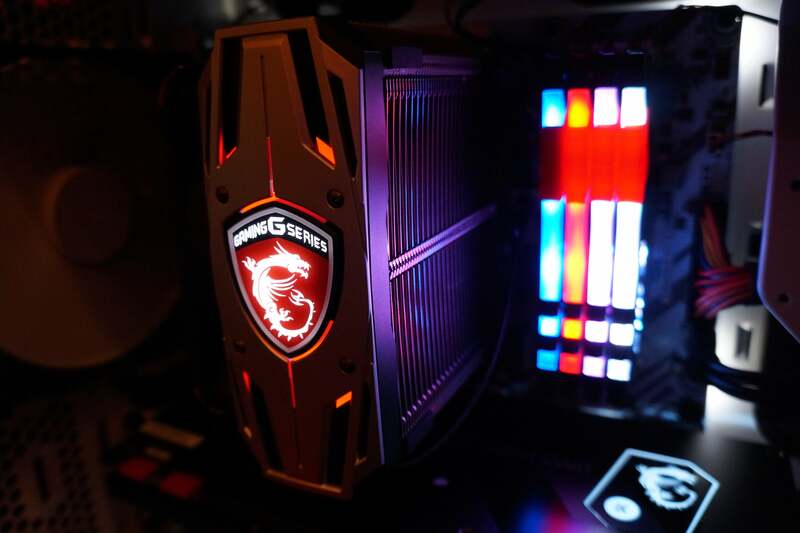 Sure, it may be an acronym for “Graphics card Update System” but the front of this glowing, firepower-imbuing beast has GUS emblazoned on it in bold white letters. GUS just wants to be loved. GUS is your wingman. GUS will help you get your game on. Only at MSI—and maybe in your house when these all launch sometime in the second quarter of 2017.